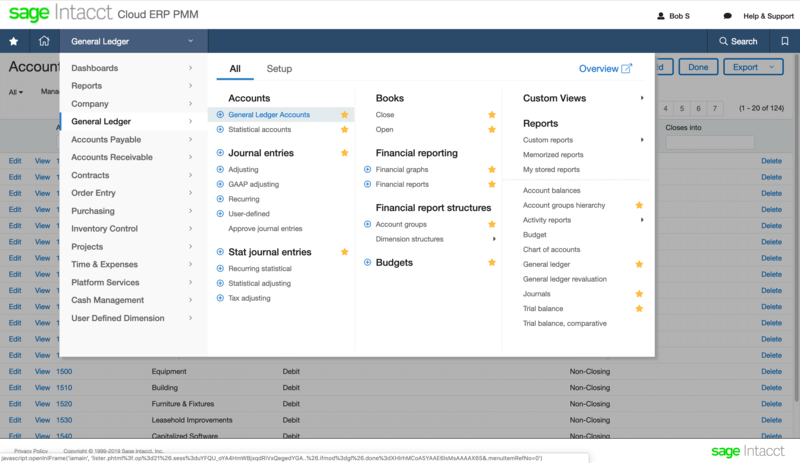 The base of Sage Intacct – the leading cloud-based accounting software – is the core financials module. This module has all the key pieces of your essential accounting procedures. It gives you unparalleled visibility into your organization’s finances. Plus, you’re able to customize this module to your needs and your data syncs seamlessly for total transparency. Here’s a quick preview of the functionality of Sage Intacct’s core financials module. Accounts payable (AP) automates your manual AP processes, like paying bills and invoices. You can set up approval processes to ensure you’re paying for legitimate expenses or services received. Increase your communication and save time with the ability to track and view each payment you send out. Track each approval. View reports of all your payables. Tighten your internal controls with better recordkeeping and approval processes that you define. Make AP work better for you. Pay all your bills from one screen. See summaries or details of what’s been paid. Accounts receivable (AR) speeds up your cash cycle and brings in money faster. It helps you automate invoicing and collections. Email your invoices. Offer more payment options to your customers. Generate recurring invoices. Add customer documents for robust recordkeeping. Set up automated reminders for your clients. Assign people internally to follow up with clients on unpaid invoices. Then, record that activity. It has the ability to automatically post your order transactions to this module and your general ledger. Reduce your manual entry. Get access to customer aging reports, deferred revenue, invoice analysis, and more. Use this data and AR trends or patterns to improve your cash flow. 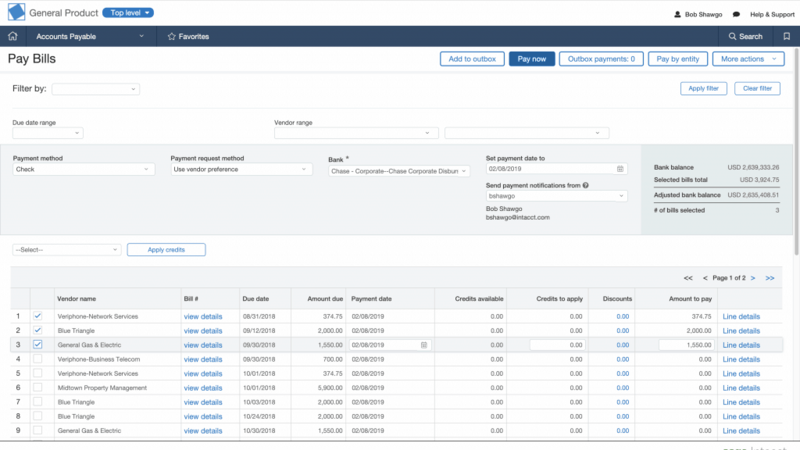 Sage Intacct’s cash management gives you the ability to see payments and transactions across all your accounts. Credit cards. Checking. Savings. See all your funds and your cash flow in one place. If you have multiple office or branch locations or entities, you can combine each to view and manage your cash flow at a global level. Or you can choose to view it individually. Report on the funds and cash flows in each. Compare and analyze. Save more time by importing bank statements and automatically reconciling your accounts. Easily spot errors, monitor fraud, and keep your cash balances accurate. Your general ledger is the guiding star of your company’s finances. With Sage Intacct, you can filter your general ledger by location, department, customer, vendor, items, etc. Choose the metrics or dimensions that matter to you, and filter your general ledger accordingly. Store, organize and balance your transactions. You can close faster with this module. How? By closing sub-ledgers that are done, and leaving others open that need more time. Focus on those. Consolidate entities into one master ledger, one financial statement to get the big picture faster. You can even use the general ledger to view your financial statements according to multiple financial standards – GAAP, IFRS, or cash basis. View them side-by-side. Control when transactions can post to sub-ledgers and the general ledger. Order management can make your quote-to-cash process simple. Even if it’s complex. Sage Intacct can handle high volumes of orders and intricate pricing structures. Benefit from point-and-click configuration. Input orders when they come in. Then sit back and relax. The order flows into fulfillment, billing, revenue accounting – wherever you need it to go. That’s automated efficiency. 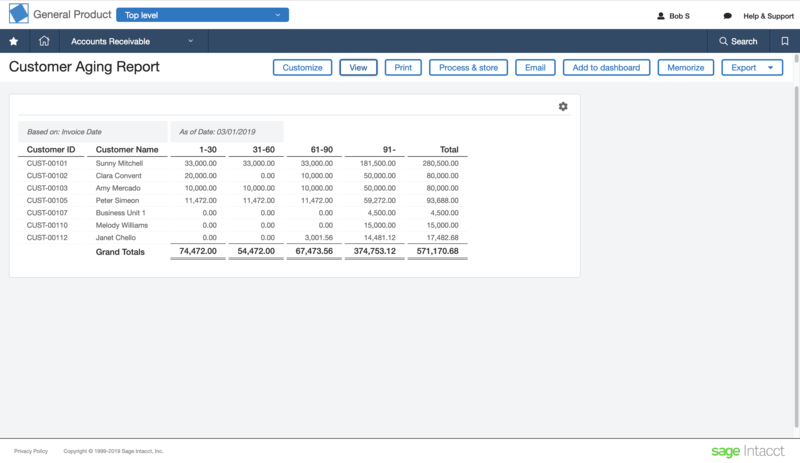 And, with Sage Intacct’s powerful reporting capabilities you can set up customized views for your sales team and managers. They can log in and see the data that matters to them. Sales numbers. Inventory quantities. Order fulfillment rates. You – and your sales team – can see who or what is driving profitability. Double down on what’s successful. Purchasing can create predefined transactions and purchase approval workflows. Accelerate your purchasing activities. Be precise and intentional about your orders. Use Sage Intacct’s dashboard and reports to monitor your budget compared to your actual budget. Analyze your costs. Dig deeper into your procure-to-pay cycle. And, see purchasing activity in your accounts payable, cash management, and inventory. Enter your purchasing information once, and let it update across the system. With purchasing, you can also track budget performance, compare vendor quotes, and see price breaks. Set spending limits and alerts. Get real-time info about your vendors, orders, and other key purchasing information. This is the tool you need to make your purchasing cycle seriously efficient. Just as you want insights into purchasing behavior, you want to know how your company spends money. 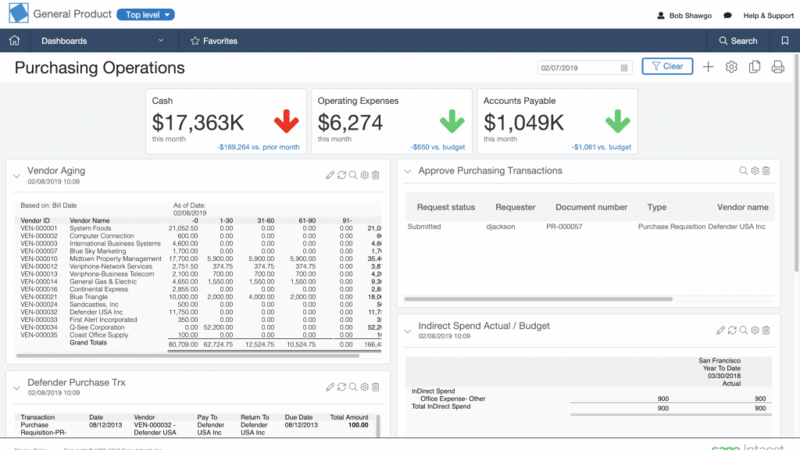 Stay on top of it with Sage Intacct’s spend management. It can automatically check your spend transactions against the available budget. That’s how you gain visibility and control to support your business’ growth. Gather data to see your spending patterns and trends. Analyze them. Make sure your spending is in line with your budgets. 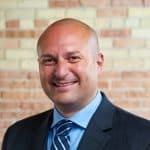 Set validation rules based on spending requests by item, department, and location. Set up alerts to prevent more spending or when a request exceeds the set budget. Track accrued but unreleased expenses so there are never any surprises. This is just Sage Intacct’s core financials module. You can still add other modules to the software to gain more efficiency and business insights. Add on inventory management, multi-entity management, or even time and expense management. The core financials module is the foundation of Sage Intacct and your business. It gives you the insights you need into your company’s finances so you can make strategic, informed decisions. See your business finances in real-time. Get out of the weeds and see everything from a high-level. Want to take a tour of Sage Intacct?